Facebook is the second most used website in the world, according to Alexa’s rating of top websites. The fastest growing demographic of Facebook between Q1 in 2012 and Q2 in 2013 was 45-54 year olds, which is in line with the target market of many of our clients. Having a Facebook page for your practice is no longer a nice idea but an imperative for a well-rounded marketing strategy. You can use Facebook ads to reach out to a wider audience, promote an event or special, or even target past website visitors. There are two main ways to advertise on Facebook: running ads through Facebook’s Ad Manager, and running remarketing ads using a third party on the Facebook Exchange. 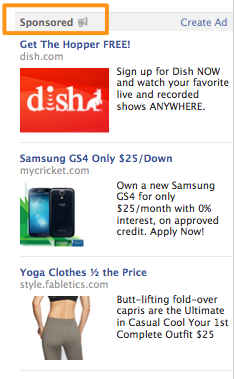 Facebook has set up its ads to reach different objectives. They include getting more page likes by showing ads when friends like the page (see ad below), increasing engagement meaning more likes and shares by promoting individual statuses, receiving clicks to website, tracking conversions, app installs, event rsvp’s, and offer claims. Not all of these will be relevant to your practice so its good to experiment but find one or two campaigns that deliver the results you want. Ads can be on either on the right hand side bar or in the News Feed. On mobile phones, ads are only in the News Feed. Ads are denoted by a “sponsored” label, as seen in the right hand side bar screenshot below. Facebook is very specific about dimensions of images in ads, the number of characters in the captions, and meeting different content guidelines so you should work with an ad buyer and graphic designer who are knowledgeable about Facebook’s ad requirements. Ads can be tailored in endless ways to reach your goals, or target audience. 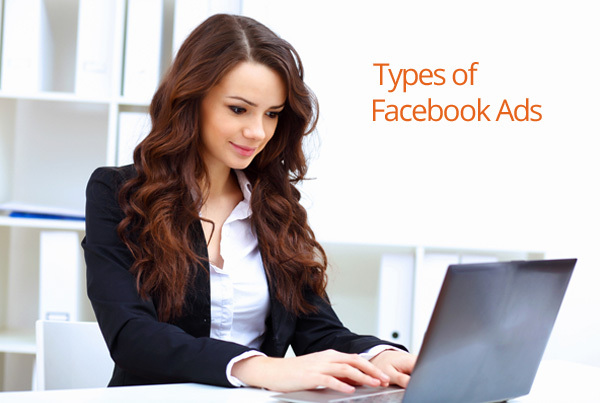 Everything you fill out in your Facebook profile is a variable that can be targeted in making ads. Age, gender, location, and interests are all ways to reach your audience. Facebook also gives you the ability to target based on connections such as fans or friends of fans. Ads can run pay per click, or pay per impression and campaign budgets can be set at a daily or total sum level. Facebook also lets you set up custom audiences, where you upload email addresses from your practice email lists and can target ads to that audience. Facebook remarketing ads are similar to Google remarketing ads. 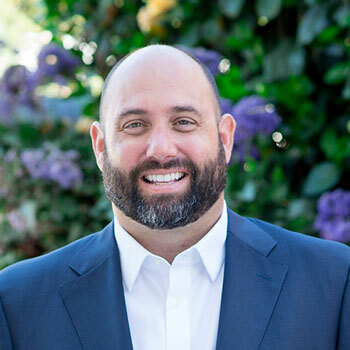 Using a third party company that Facebook has agreed to work with in the Facebook Exchange, you install a tracking code on your website, which generates a list of website visitors, and upload your remarketing ads in that company’s ad dashboard. 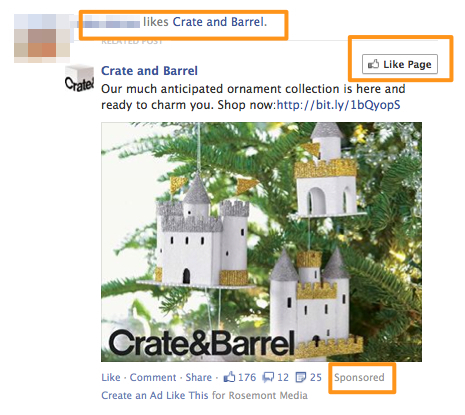 Then your remarketing display ads show on Facebook to your website visitors. For example a visitor looks at your gallery on your website, then leaves and opens up Facebook. 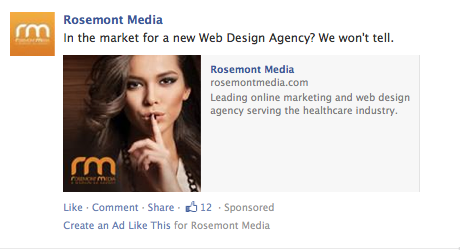 They will be shown your practice remarketing ad in the News Feed or right hand sidebar. Since so many people use Facebook and Google, using remarketing ads to target both websites covers most of the ad space on the Internet. The results of your campaign can be recorded if you set up conversion tracking as well. Unfortunately, Facebook doesn’t allow plastic surgeons to advertise on the Facebook Exchange at this time. Whether you’re promoting statuses or getting in front of your website visitors again through remarketing ads, Facebook has an ad type for your practice. For help setting up a custom Facebook advertising strategy, contact us.